Offering advanced control, professional mode, optional interactive compatibility, 18/7 operation and an embedded HTML5 platform for easy digital signage creation: 4K Displays are designed to suit all your professional needs, so you always present a clear image. There's all the technological performance and style you’d expect, powered by the latest X1 processor. 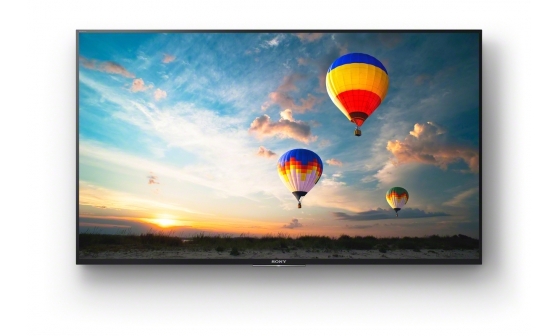 The 4K LCD panel offers four times the pixel count of Full HD for outstanding picture quality, while the ultra-slim design enhances any corporate or retail environment. Now featuring a range of built-in solutions to customise your Professional Display exactly the way you want. Options include Corporate Solutions, Digital Signage, Smart Automation System and the Applications Store: there’s no need for any external devices or players. Now retailers, schools and businesses have more choice than ever to create compelling signage for every kind of space, with no prior training needed; add graphics, text, video and sound files in minutes. Full compatibility with Digital Signage. Send content to view on your display from other professional and personal devices, including laptops or Android/iOS phones and tablets. Great for retail and public display applications: advanced controls include Professional Mode, HDMI auto wake-up and 18/7 operation. Turn your display into an interactive touchscreen or information kiosk. An optional screen overlay fits seamlessly onto your display, adding multi-touch capability to allow instant customer interaction. Contact your local Sony dealer for more information.